exhibit displaying the ever changing culture of one of the biggest metropolitan areas in China. 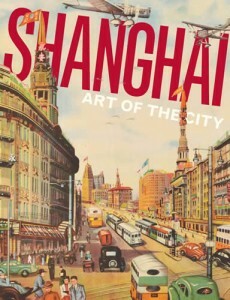 Shanghai explores the violent history created one of the most influential cities in the world. 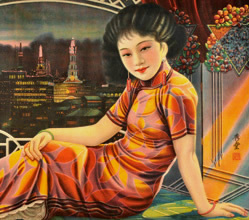 This artistic collection features more than 130 oil paintings, Shanghai Deco furniture and rugs, revolutionary posters, fashion pieces, movie clips, and contemporary installations. The exhibit also begins the Shanghai Celebration, a year-long Bay Area-wide collaboration coinciding with the 2010 World Expo. rs, $12 for college students with ID and $7 for youth ages 13-17. Asian Art Museum members, children 12 and under and SFUSD student gain free admission. The selection of tours and events vary depending on the day of your visit. For a full list of the programs offered, click here. Can’t make it by 5:00 p.m.? Don’t worry. The Asian Art Museum is offering Shanghai Nights, with the exhibit open on Thursday nights from 5:30-6:30 p.m. For a discounted rate of $10, guests can enjoy a tour of the museum and conversations with the museum’s curators and special guests (artists, designers, architects).